Over 40 years ago Burt Grimes dreamed of owning a manufacturing business. In 1979, he took his entrepreneurial spirit and purchased a small upholstery company. Burt envisioned a manufacturing business that would put a strong focus on quality products and exceptional customer service. In 2010 he expanded the business by acquiring Royal Mattress Manufacturing. This allowed him to service a larger segment of customers with his current manufacturing capabilities. Burt’s daughter, Nicki, was always involved in the business through her high school and college years. After graduating from college she worked in sales for several years. In 2012, Burt welcomed his daughter Nicki back into the business. With her background in sales and marketing, Nicki brought a fresh new style to align with the client’s needs. This customer-centric approach has allowed Pacific West Furniture and Royal Mattress to continually innovate and better serve their customers. After initially leading the sales and marketing division, Nicki officially acquired Pacific West Furniture and Royal Mattress. 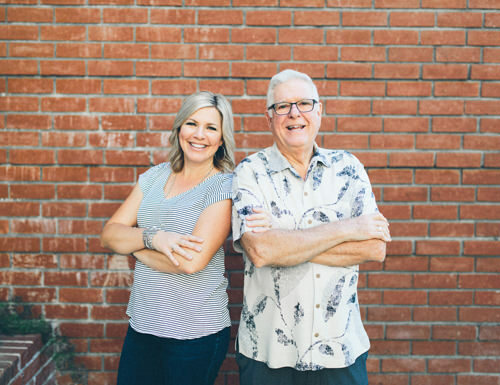 The business continues to thrive due to Burt’s vast knowledge of manufacturing combined with Nicki’s contemporary approach to sales and marketing. The company started as a family business back in 1979 and continues to operate with those same core values as the legacy continues. In order to view pricing for our catalog you’ll need to register for an account. Registration is quick and easy. After being approved you’ll be given priority customer access to view pricing on our entire catalog.